Jamie Cat Callan: 9 Days Until the Ooh La La! Tour! 9 Days Until the Ooh La La! Tour! Comment t'allez vous? How are you? Tres bien. Et vous? Very well. And you? Ou est la musee? Where is the museum? Okay, actually it's a lot more complicated than that. But ladies, you will be in Paris in just over a week and this is not the time to panic! 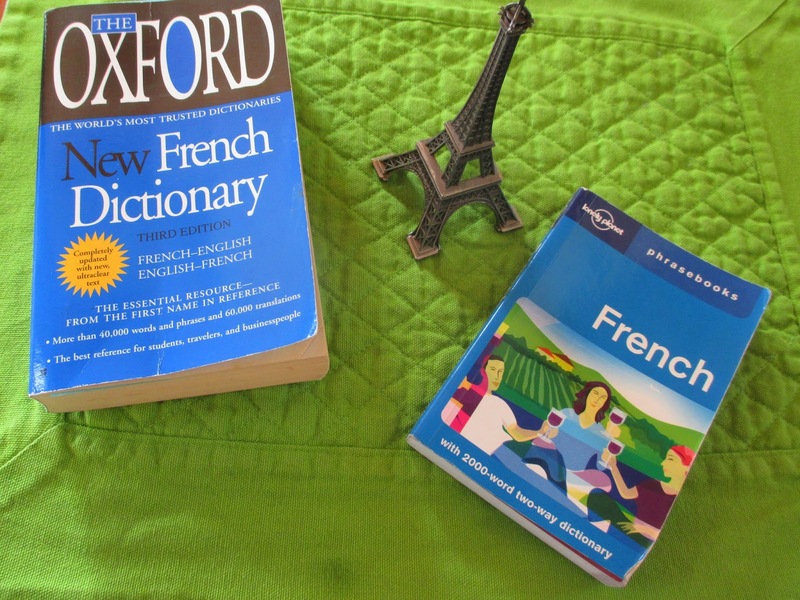 Just get an English/French dictionary, or this French Phrase book, which is a favorite of mine. And don't forget, we're in Paris during high tourist season, so shopkeepers and wait staff will be expecting lots of Americans who don't speak French. Still, they love it when you try! Parlez Anglais, s'il vous plait? Speak in English, please? Even if you completely bumble the language, you will get points for trying and extra points for being polite. The French love it when we are polite! Please write and let me know if you can suggest some other phrase books or important phrases for Americans to learn. I am so excited to be bringing 12 beautiful and bright American ladies to Paris for the Ooh La La!